Home // About Us // News // Dave Shetlar, "The Bug Doc," visits Good Day Columbus to talk bugs. Dave Shetlar, "The Bug Doc," visits Good Day Columbus to talk bugs. 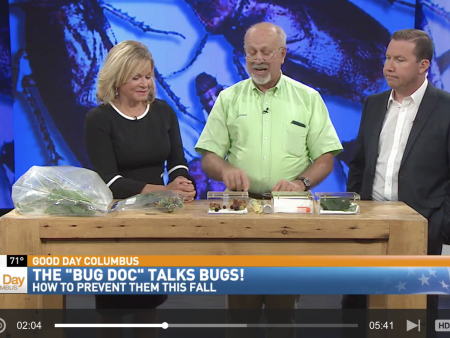 Dr. David Shetlar stopped by Good Day Columbus to talk about the bugs making a comeback this fall, and how you can try to stop them from taking over your home (August, 2018).